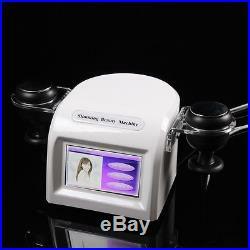 WL-882 [mychway] – 40khz+25khz 2 Probe Portable Ultrasonic Cavitation Slimming Salon Beauty Machine. 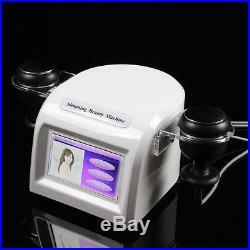 40khz+25khz 2 Probe Portable Ultrasonic Cavitation Slimming Salon Beauty Machine. 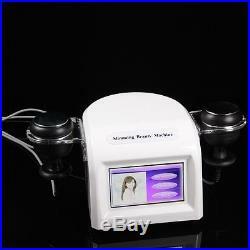 Portable 2in1 40K Cavitation 25K Ultrasound Ultrasonic Cellulite Operation Fat Removal Beauty Salon. Model: WL-882 #ID: 1001755. 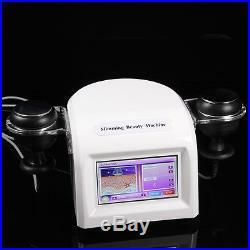 40K Cavitation Slimming 25K Ultrasound Deep Fat Removal. 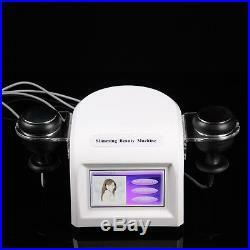 What is 40KHz cavitation + 25KHz Ultrasound. What is 40K Cavitation operation Like? 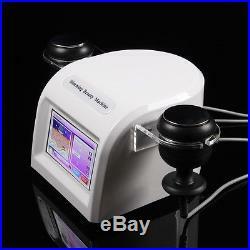 It uses a 40kHz focused ultrasound cavitation effect, to cause tons of microscopic air bubbles to surround the lipocyte (fat cell) membranes and with its resonant frequency, the bubbles cause a high enough to cause the fat cells to break up instantly. The broken lipocytes are then moved to the liver and safely metabolized out of human body which is assisted by drinking a lot of water. It produces lipolysis of fatty acids from adipocytes (fat-laden cells) due to a phenomenon known as stable cavitation, and increased cell permeability of the adipocytes. You get an increased flow of triglycerides. Furthermore, there is a breakdown of the fibers through mechanical action (“jet stream”). Finally, some content of adipocytes is metabolized by the liver and eliminated in the urine. What can 25KHz ultrasound do? The triglyceride decomposes into glycerine and free fatty acid, Lastly, uses the ultra frequency power localization to explode the fat to tighten, therefore achieved the weight lost along with the lush physique beautification effects. Soften hard fat tissue, break up lipocyte -Remove wrinkles, strengthen and tighten skin -Skin rejuvenation -Body shaping -Intensive physical lipolysis to remove surplus fat -Burn surplus fat, Lymphatic operation, skin tightening, improve skin elasticity -Improve orange peel organization, body shaping. Unique design enjoys national patent, 2 operation probes, big advantage in market 2. 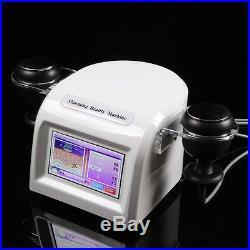 Adopt the leading-edge technology ultrasonic lipolysis in the world today 3. Suitable to all kinds of skin and people 4. Comfortable, no pain, no scar in operation 5. Easy to operate 6. Lower investment and higher income 7. Quick operation, not affect people’s normal life. 2 Probe: 40KHZ/25KHZ Frequency: 25K+40KHz Active surface: 18.6cm2 Operate timer: 1-20min Display:Touch screen Emission model:Scan 2% compared with frequencey. 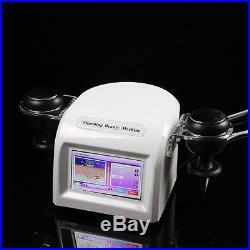 Main machine x1 40K cavitation probe x1 25K ultrasound probe x1 Holder for probes x2 Power cord x1. 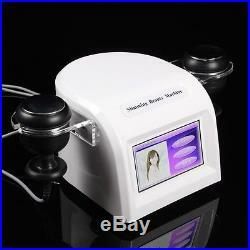 What areas can be treated with cavitation systems? Belly, waist, thigh, calf, buttocks. How many operation will i need? 3 times in first week, 2 times in second/third week. After that 1 times per week until satisfying effect. 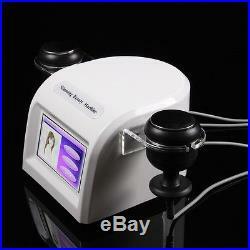 The item “Powerful 40K 25K Double Ultrasonic Cavitation Weight Loss Body Slimming Machine” is in sale since Wednesday, February 26, 2014. This item is in the category “Business & Industrial\Healthcare, Lab & Life Science\Medical Equipment\Other Medical Equipment”. The seller is “mychway_uk” and is located in ShenZhen,Guangdong. This item can be shipped worldwide.